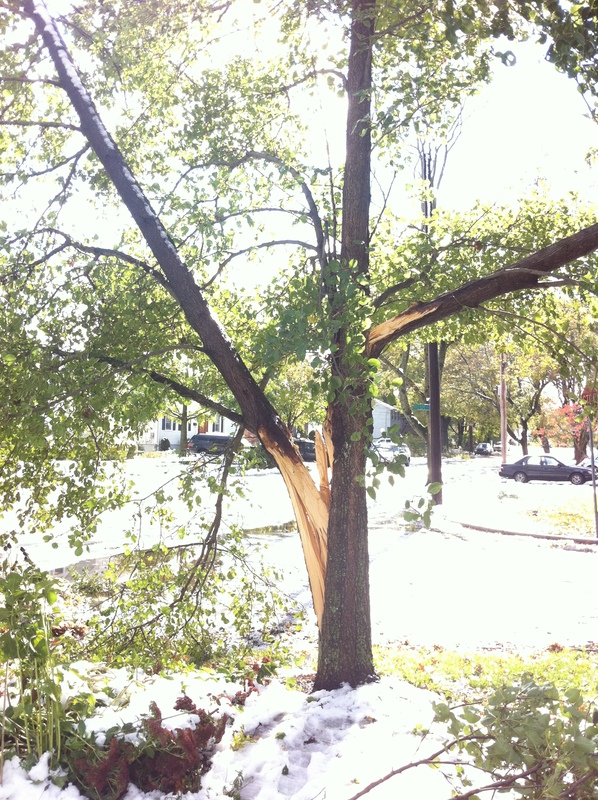 This entry was posted in Uncategorized and tagged freak storm, root ball, trees. Bookmark the permalink. Our little dogwood tree is 1/3 of its former size as the result of the snow. My parents have trees down in the front and back of the house. Snow for Halloween – I think it was a trick on all of us. It certainly will make walking around the streets scarier, given all the wires that are still hanging! I’m sorry about your lovely pear tree. I am amazed about what happened outside of Cambridge. We had big flakes of snow that accumulated to about 1/2″ on the street until it turned to rain. Arlington and Belmont had tree damage. Lexington lost power. Cambridge – nothing that I could see.